If you’re like me and read a lot of personal finance blogs and forums, you’ll know that one of the biggest roadblocks when it comes to frugality is perceived to be friends. We love spending time with our friends! Many people believe that in order to have fun with their friends, they need to spend money. They think they need to eat at restaurants, go and see movies or go out drinking. We have found this is definitely not the case. We have great times with our friends (and family, but that’s for another post) without breaking the bank. Occasionally, we do spend money on hanging out with our friends. But because this is fairly rare, we throughly enjoy it when we do and in the grand scheme of things it works out pretty affordable as we aren’t doing it every weekend. This is just a fancy way of saying invite your friends over for dinner! While you might need to spend a little bit extra on your groceries that week, it is vastly more affordable than eating at a restaurant. 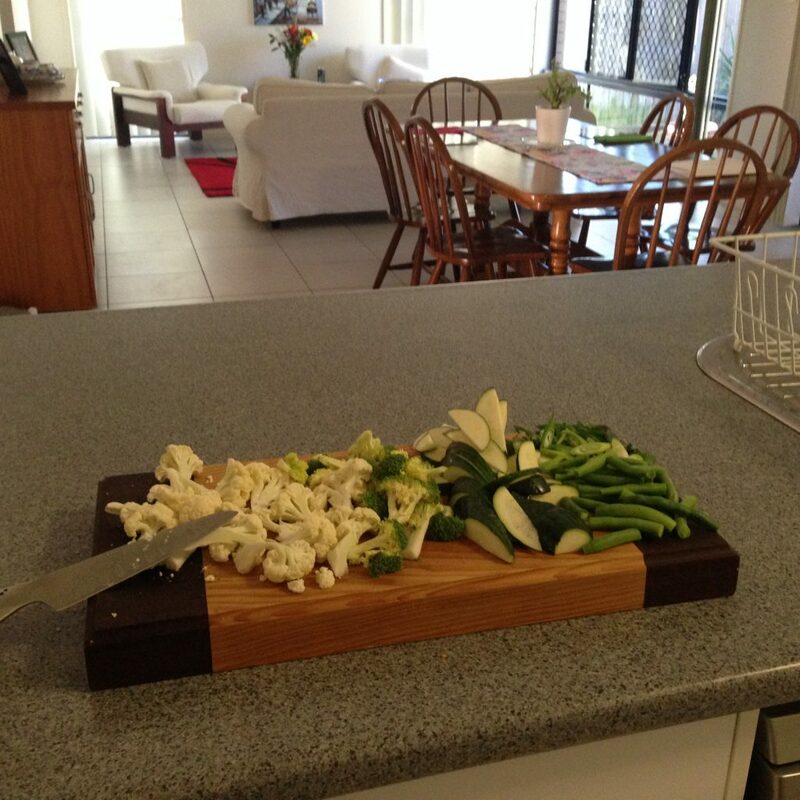 Preparing to cook dinner for some friends. Inviting friends around for dinner does not have to be fancy. We have invited people over for homemade pizza or tomato soup made in the slow cooker! The idea is that you’re spending time together and munching on some yummy food. Most people will not turn down a home cooked meal! A casual dinner party some friends of ours threw recently. 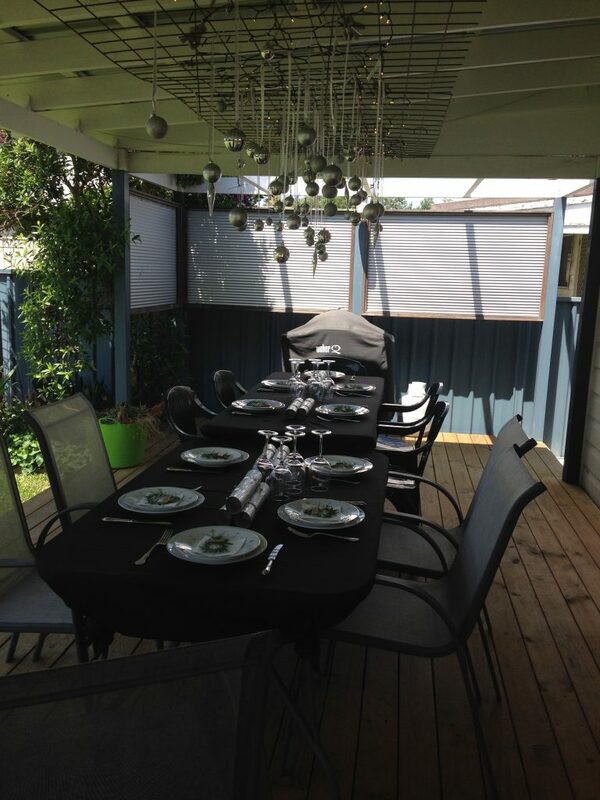 You can make it a bit more fancy by setting the table, dragging out those cloth napkins you got as a gift and drinking out of your special occasion wine glasses. Throw some music on and you’ve got yourself a memorable and frugal evening! Certainly in Australia, and I know in many other countries as well, there is a wide range of local facilities for residents to use free of charge. There are parks everywhere, many with great walking paths, exercise stations and BBQs. Meet a few of your friends down at a local park, take a soccer ball or a frisbee and a cooler of cold drinks. You’ve got an awesome afternoon on your hands, for almost no money. 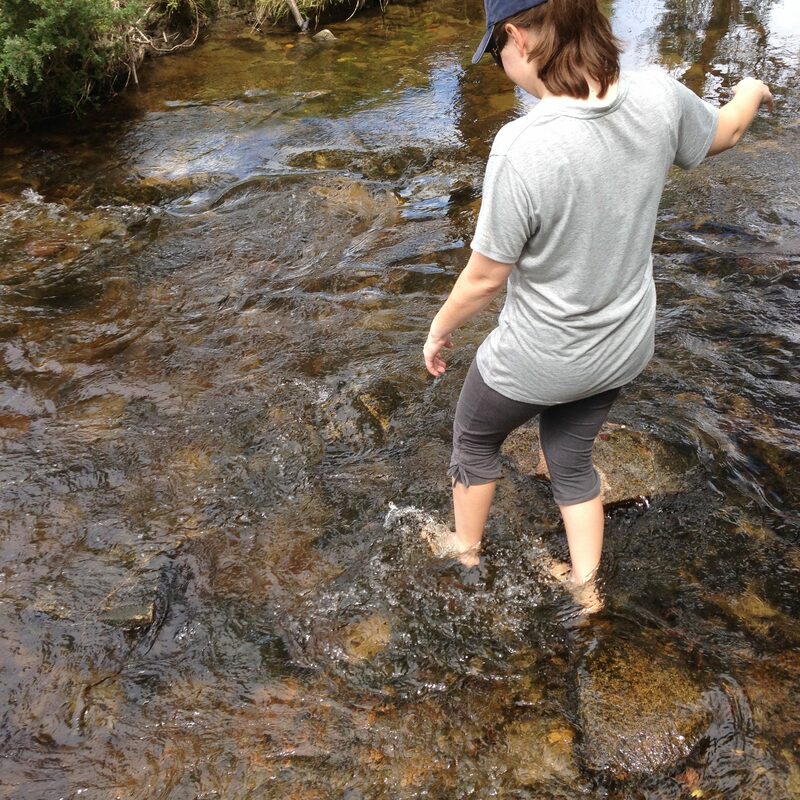 Gallivanting across a creek with some friends. Not everyone is particularly active- myself included. But anyone can toss a frisbee around and usually, they have a great time doing it. Going on a long walk with a friend has the added bonus of spending time talking and getting some exercise. And it’s all free! Amongst my age demographic, one of the most popular things to do with friends is get coffee. At a cafe. For about $5 per coffee, plus a tasty treat. This can really start to add up if you’re not careful. Bake a cake and invite a friend around. We shared how we like to beat the latte factor but you can do so with your friends as well. 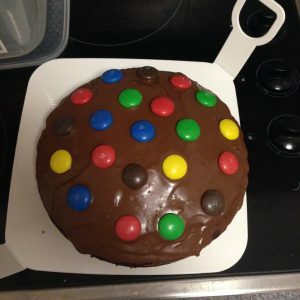 Bake a yummy cake, some muffins or some biscuits. Invite your friends over on a Sunday afternoon to enjoy these treats with a cup of tea. It’ll probably taste a lot nicer than cafe bought stale cake and you can enjoy it in a peaceful atmosphere. This can either be done on its own, or in conjunction with option one above. Invite your friends around for a board game night. Truly, it’s incredibly enjoyable to play board games as an adult, with your friends. 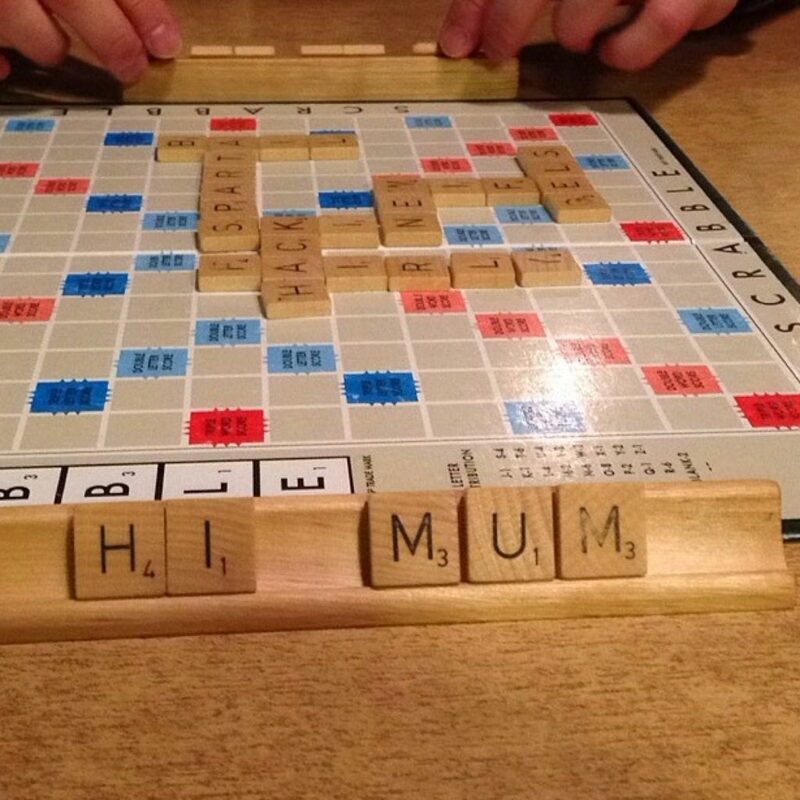 One of our favourite board games: Scrabble. If you combine this with option one above, invite some friends around for some tasty food, clear the table and then hook into some board games. If you don’t want to provide dinner, invite friends over a little later in the evening and provide some snacks. Everyone will have a great time. If you don’t have any board games, they can often be purchased relatively cheaply at Op Shops. I have also heard of people making their own and, if in doubt, a deck of cards retails for about $1. This will differ depending on where you live, but most places hold free local events. You just need to find out where and when! 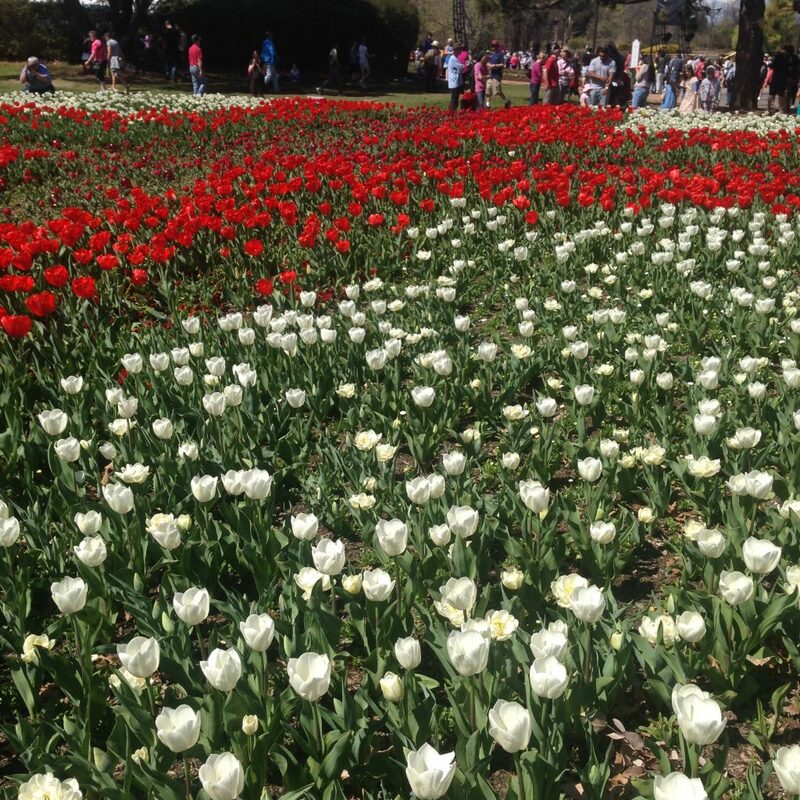 Floriade in Canberra- it’s free! Local community boards (both actual and virtual), city council websites and Twitter are great sources of information. For example, I follow my local city council and local universities on Twitter so I can always find out what is going on. Poopsie and I have found some great events this way. 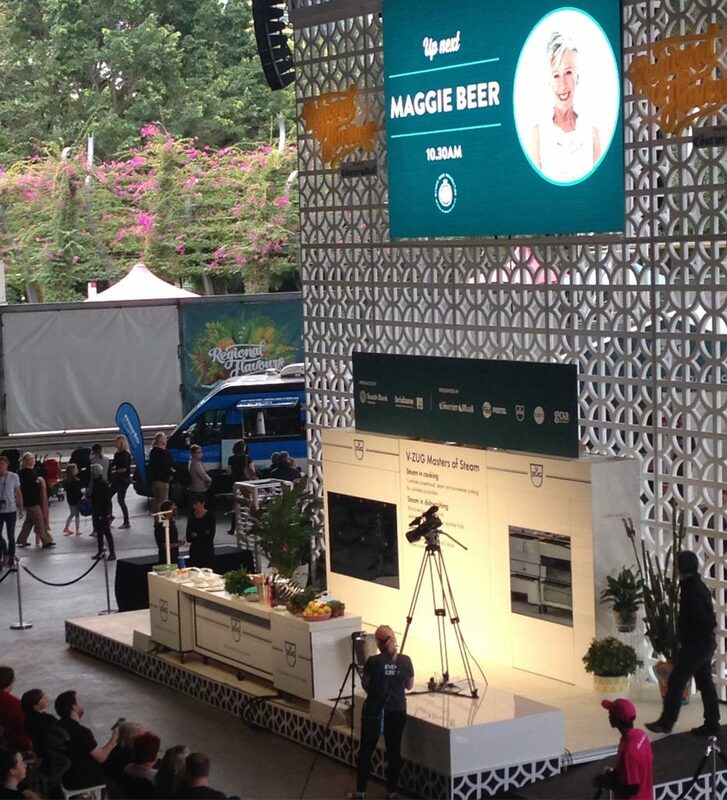 A cooking demonstration by Maggie Beer at the recent food festival we attended. It was free! Most people are not against doing free things- so invite your friends along. Most recently, we went to a food festival at Southbank and had a fantastic (and free) time! 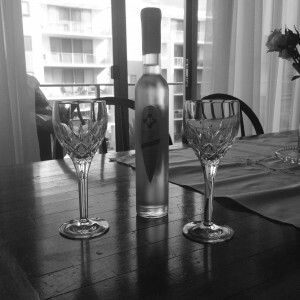 How do you stay frugal when spending time with friends? I stumbled upon your post from the Thriftygal’s blog. 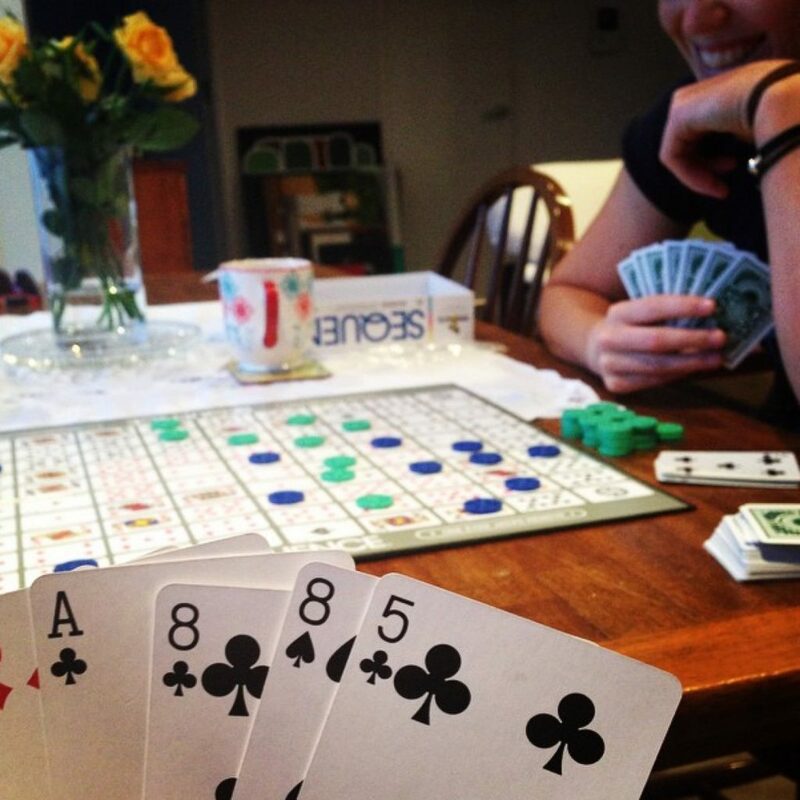 And I liked this post particularly because we do exactly what you have mentioned in this post but a bit more frugal may be :P. We have frequent Potluck parties followed by game nights with cards. And on weekends we go to local parks for hiking and playing together. We pack our lunches and do dinners out. It keeps us fit and allows us to try out different restaurants. Thanks for stopping by! Sounds like you’re quite frugal with your friends- it certainly makes things a little better when you can have fun and not stress about spending too much! I’m going to a board games night tonight. We even have an arrangement that it is “everyone bring your own dinner and snacks”. This means that the only outlay is the initial game purchase, which we do try to share between those of us who can afford them. You don’t need many, though, to get a lot of ‘replayability’. It’s such a fun way to spend hours. I also enjoy Floriade, but have missed it for quite a few years now. I heard that it was being moved to a different site (controversy in Canberra) – I’d like to get back again. These are all great ideas – friends don’t have to break the bank. We like to do things like going to the park, beach, free city events – things like that. That cake looks awesome by the way! Reading this made me so happy! It’s so great to see people coming together to truly enjoy each other’s company without having senseless consumerism in the mix! I’m hoping for more of that in my life. My friends are all spendypants’ that won’t bite when I offer a cheap or free social solution. A park in our city screens free movies on Tuesdays and I tried twice to get things going; both times the group decided to meet at a bar instead (I then had to decline and not be a part of a night that I had originally planned!) I’ve organized three different times we walk the trails near the lakeshore, and all 3 ended in visiting a restaurant to “refuel” with beers and burgers even though I packed enough lunch for everyone (as I sipped my water angrily). So as part of my super frugal August – and hopefully rest of the year, and rest of my life! – I just haven’t seen anyone socially. It’s a bit lonely and I’m getting a lot of backlash for “disappearing” but I’m trying to tell myself that friends must align with the values in our life, and should help to enrich it. Maybe this is the universe thinning out my “friends” to make room for new ones that see life the same way I do. I am so glad the post made you happy!! That is an enormous boost to my writing ego! I’m sorry you’re not having much luck getting your friends on board. Perhaps after a while of you “disappearing” they will start coming round to your frugal ways. They’ll miss you and when they contact you for a catch up, they will probably be agreeable to whatever you choose, so frugal it up! !